Personalized Gift or a great stocking stuffer! We are just swooning over our newest addition to our personalized goodies! 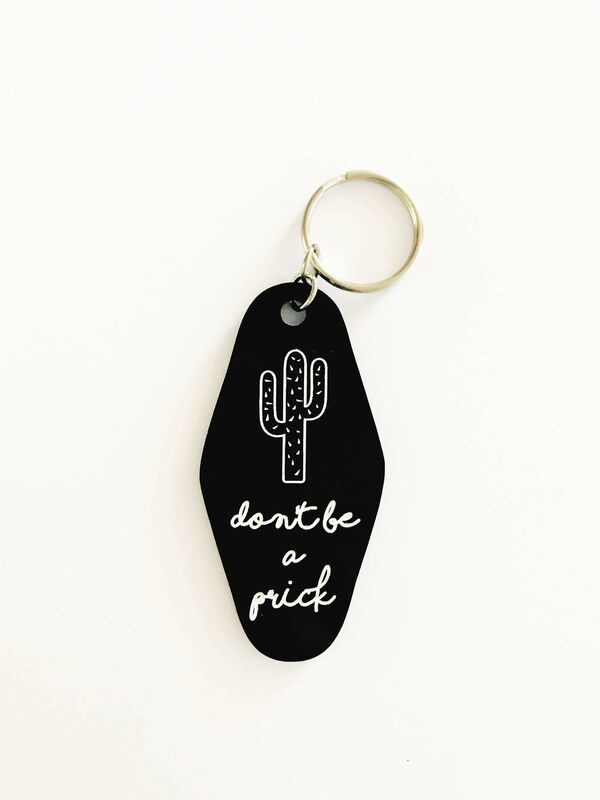 Say hello to our one of a kind laser cut, etched and hand ink filled vintage hotel key acrylic key chains that feature our cactus "don't be a prick" design. These adorable additions make perfect gift for just about anyone on your list! 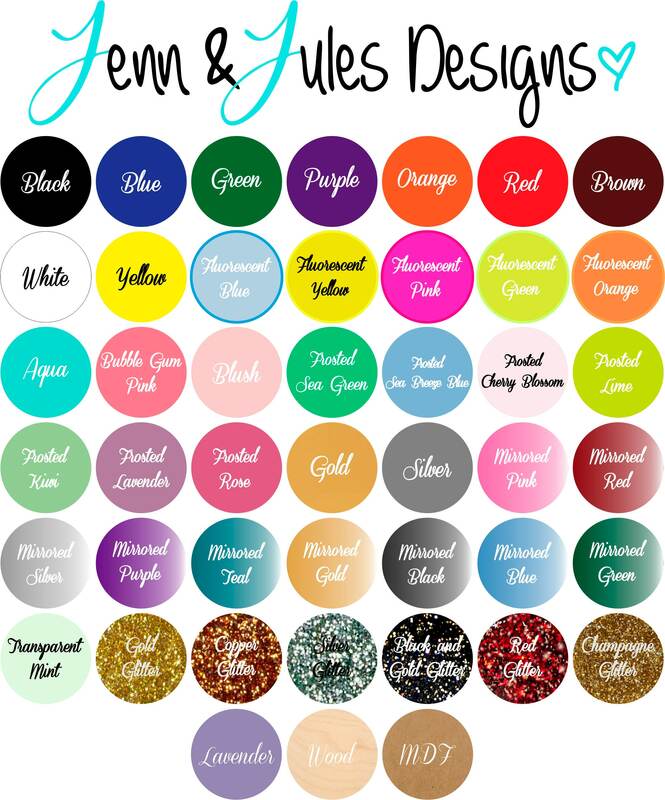 Choose from our vast variety of acrylic colors for your throwback and fabulously fun and cactus loving keychain and choose the ink fill color you'd like, then we can laser etch and hand ink fill your gift! These are not pre-ordered plastic keychains with the image printed or with a vinyl decal. These are handcrafted by just the two of us here in San Diego, Ca with our own machines and hands. Each keychain is designed by us, the acrylic is laser cut, then laser etched followed by hand ink fill. Each piece is custom and unique in its own way and we're truly proud of every order that goes out the door. Shown in black Acrylic with white ink fill with Silver key ring. Each key chain comes ready to gift! Placed on top a bed of cotton for protection, our key chains are packaged inside a white keepsake box. The clear lid beautifully displays the key chain inside and is held in place with a gold stretch bow.